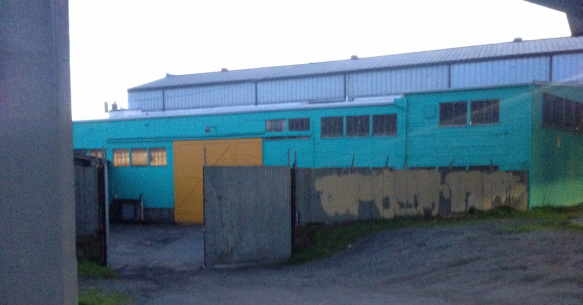 A bright turquoise building located in SODO, underneath the West Seattle Bridge. When heading South on I-5 from Seattle, take the Forest St. / 6th Ave Exit. Take a left on 6th Ave, heading South. Take a right at Spokane St. under the West Seattle Bridge heading West. Turn left on Colorado Ave, which is the third "U-turn route" after 1st Ave. Parking is available under the West Seattle bridge at this location. The turquoise building is located on the South side of Spokane at this location. Enter on the East side of the building. When heading North on 1-5 towards Seattle, take the Spokane St exit, heading West. Take a right at Spokane St. under the West Seattle Bridge, heading West. When heading from Down Town Seattle, head south on 1st ave.
Take a right on Spokane St under the West Seattle Bridge, heading West.